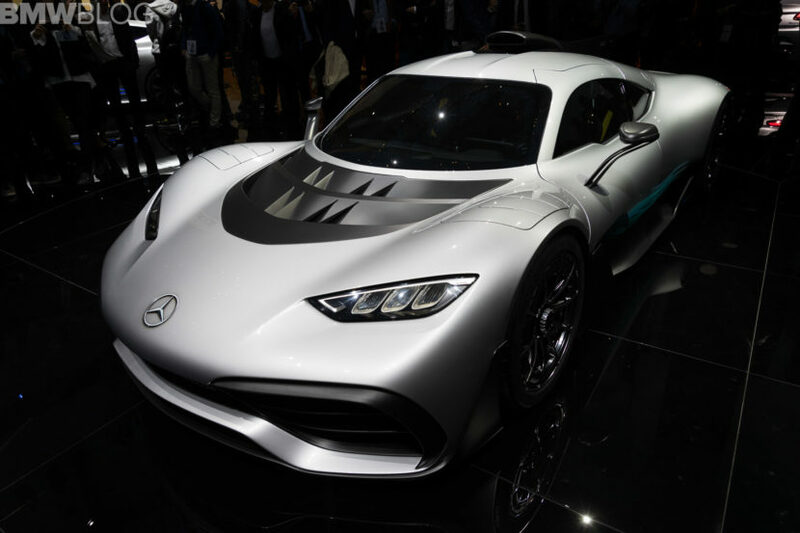 One of the most spectacular cars of the 2017 Frankfurt Auto Show is undoubtedly the Mercedes-AMG Project ONE. 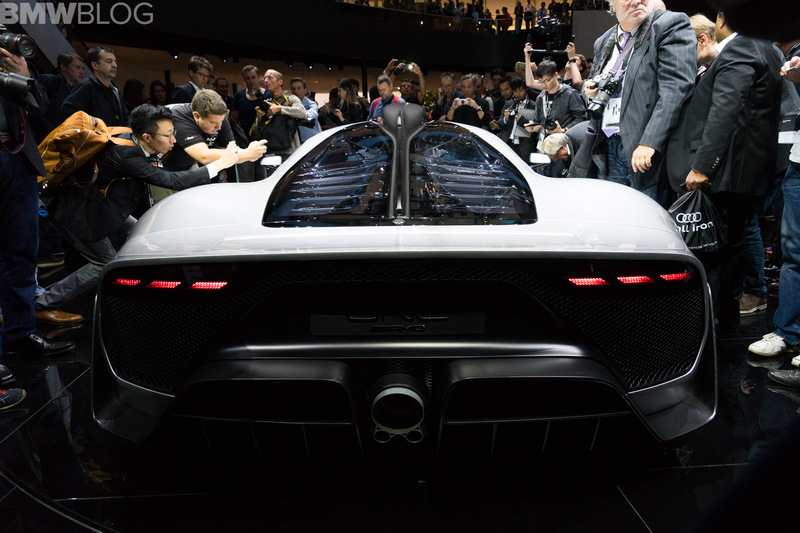 The show car promises no less than Formula 1 technology with road registration and goes further than any standard vehicle before. The highlight in terms of exclusivity is certainly the 1.6-liter Turbo-V6, which is derived directly from the F1 engine of the Stuttgart and whose technology was adapted only with a view to the road safety and the durability necessary. However, speeds up to 11,000 rpm when the small V6 is pushed to the limit. The high-tech engine is combined with several electric motors, two of which are placed on the front axle and drive the front wheels. Another electric motor is placed on the turbocharger of the V6 engine and makes the supercharger respond extremely quickly. A fourth electric motor is also located near the V6 engine and assists the gasoline engine while driving the rear wheels. 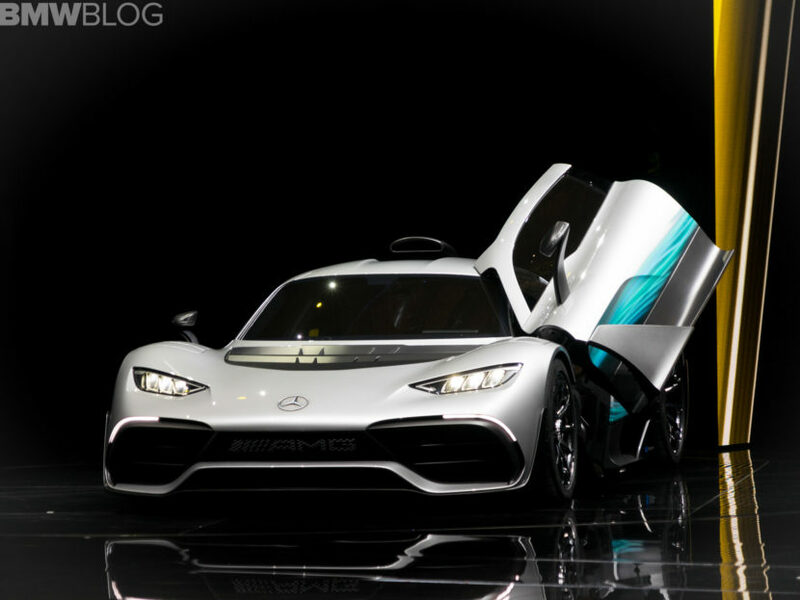 Together, the combustion engine and the four turbochargers reach a system output of more than 1,000 hp – which is why the announced driving performance comes as no surprise: less than six seconds will pass until the Mercedes-AMG Project ONE accelerates from 0 to 200 km/ h. The top speed of more than 350 km/h also clearly shows the performance of the Formula 1 racing cars with roof and road registration. The bodywork in the wind tunnel follows the specifications of the aerodynamics and, just like any other component of the vehicle, is dedicated to a single goal: driving as it has not been experienced in road traffic. 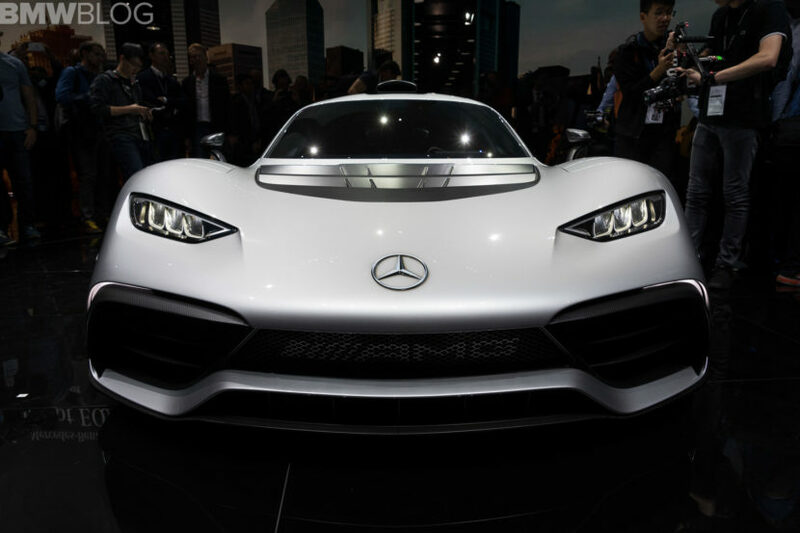 When exactly the show car goes in series and its volume are still unknown, but the rumored price is more than $2 million.